The Panel reminded officers that the air quality report for the Merton Abbey/Harris Wimbledon new site area had not been forwarded to them. RESOLVED: That the minutes of the meeting held on 8 November 2018 were agreed as an accurate record. The panel noted the briefing report in the agenda. Harris Federation is highly effective in generating social mobility, with high performance by children who receive free school meals and by children from ethnic minorities. The Harris model is that of a central team which ensures consistency and is strong on systems and data. Our Exclusions are relatively low, but they are sometimes necessary. We do have our own Pupil Referral Unit that has achieved good results. For pupils who are permanently excluded the local Authority must arrange suitable full-time education to begin no later than the 6th day. We have always had a good relationship with Merton. We could do more work with Merton – we have large teacher training and teacher development program – happy to do more work with Merton in these areas. Harris Federation does manage School funding monies, some Schools get more money than others, and if a school has a need we can fund this e.g. when we opened Harris Morden we invested £½ million in new IT. 90% of our schools operate with a surplus – but it may not be a large surplus. The Panel thanked Sir Daniel for attending the meeting and Jo Larizadeh, Principal, for the visit to Harris Wimbledon the previous day. The Director of Corporate Services presented her report on the Business Plan Update 2019-23. The Panel noted that this included both items 5 and 6. The Panel noted that the budget for the Children, Schools and Families Department was balanced for 2019-20 but that there was a large budget gap of £1.8 million of savings still to find for 20-21, with a further £740k to find by 2022/23. The Children Schools and Families department has a lower ratio of savings than other departments. The Director of Children, Schools and Families explained that work was ongoing to consider savings in all areas of the department but she did not believe that any easy savings would be found. The Panel noted that three (CSF 2018-11, CSF 2018-12 and CSF 2018-07) of the savings had an equality impact assessment of 3, (meaning that they would have a high impact but mitigation may be possible.) Regarding CSF 2018-07 the panel noted that work with young people who were not in education or training (NEET) would continue and there would be a focus on the most vulnerable young people. The Director of Corporate services said she would circulate the information regarding the categories of result for Equality Impact Assessments. The Head of Social Care and Youth Inclusion asked the Panel to consider the high level of complexity when making savings across the department. Savings made in one service area can then create additional pressure in other services, it is important that system is considered as a whole. He also reminded members of the need to consider sensitivities regarding existing post holders. He reminded Members that the department does benchmark against other authorities and look at different balances. The Panel noted the work already done regarding saving costs on School Transport and that ideas will be shared with neighbouring boroughs. Officers were asked if they could bring forward any savings, but replied that they would rather carry out cost cutting in a careful and planned way and not make cuts before they were needed. The panel discussed the Motion and noted that much of this work had been covered by two previous Scrutiny task groups; Shared and Outsourced Services and Commercialisation and Income Generation both completed in 2016. A vote was taken and the Motion was lost. 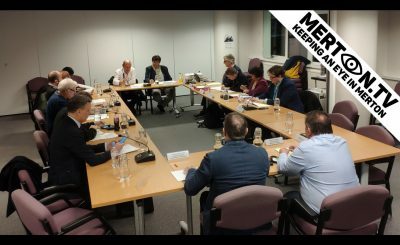 The Chair asked the Director of Corporate Services to circulate the previous task group reports, and following panel member suggestions agreed that at the appropriate time a further Task Group on these issues could be considered for inclusion in the work programme. Members asked the Director of Corporate Finance about the figures regarding depreciation of School buildings. She explained that the figures were based on the CIPFA formula. Both the Director of Corporate Services and the Director of CSF asked the Panel to note that there was no money available to continue this funding. A vote was taken and the motion was lost. The Chair thanked Officers for their work on this item. This report is provided separately and will be discussed as part of the preceding agenda item on the Business Plan Update. The Head of Looked After Children, Elise McQueen presented the Annual Corporate Parenting Report. A member asked about the ‘staying put’ initiative, where young people are encouraged to stay with their current foster carer beyond the age of 18. This has many benefits for the young person but reduces the number of foster carers for new placements. Officers explained that this was linked to the recruitment drive to find more local Foster Careers, as local foster care enables children and young people to stay close to family, friends and school, and it will save money. The Panel noted that the recruitment drive for foster carers was being targeted using knowledge of what does and doesn’t work. A question was asked about care leavers’ accommodation and the panel noted that each care leaver has a pathway plan that includes a housing pathway that will meet their need. The Panel asked about current adoption figures and heard that there are currently two children waiting to be adopted, and that 9 children were adopted in the year 2017-18. Officers reported that National adoption figures are going down. 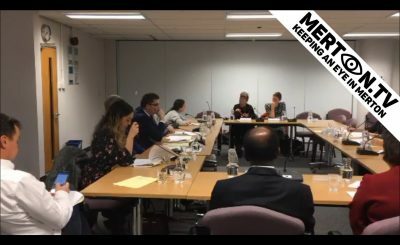 The Panel noted that immunisation figures will include young people up to 18 who may choose not to give their consent, and unaccompanied asylum seekers whose immunisation history is uncertain. The Panel thanked Elise for her work and the report. The Panel noted the report on the Implementation of the Prevent Action Plan. The Panel noted the Prevent Action Plan and asked the Director of CSF to use the departmental update to report them. The bid to participate in the Contextual Safeguarding project (paragraph 2.14) has been successful. The Interim Head of Policy, Planning and Performance presented her report on Performance Monitoring November 2018. 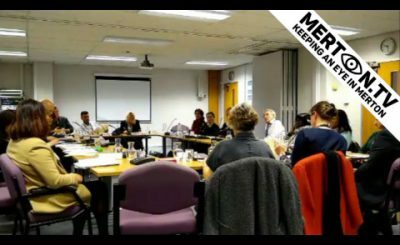 The Panel noted that she had discussed the performance data with the lead Members for performance monitoring, Councillors Eleanor Stringer and Hayley Ormrod prior to meeting. The panel noted the areas requiring ongoing work, as highlighted in the report. The Assistant Director for Education thanked Sharon Buckby for her work on improving the performance data. The Panel noted the Performance Report.